Denver’s River North district (or RiNo, not to be confused with the rhino, the large endangered animal with a horn, or RINO: Republican In Name Only) was once a busy neighborhood of warehouses, factories, and repair shops – and then it was busy no more. As the city began to grow in the new millennium, developers turned their eyes to the abandoned streets and buildings off Brighton Boulevard in northeast Denver. The neighborhood might have been razed. It might have been “developed” into something you might find in almost any other city in America – an urban district without much character. Instead, people who love Denver thought deeply about what was worth preserving in those gritty streets, how to rejuvenate the community, and what it could become. The area was christened RiNo. Artists, the pioneering and civilizing force of modern history, moved in. 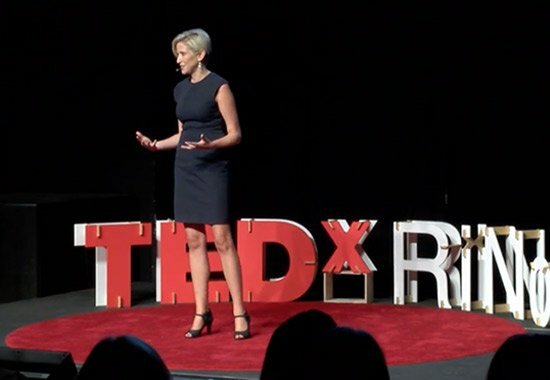 This TEDx talk by Jamie Licko, from last August, explores the philosophy that saved RiNo from becoming yet another bland urban pile of bricks. Jamie is currently president of the RiNo Arts District. Watch this!